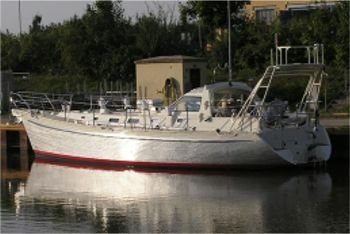 Nereide Yachting in Czech Republic. This variation of our popular Dix 43 cruiser design is detailed only for aluminium at present. Email Dudley if you want this one in steel. 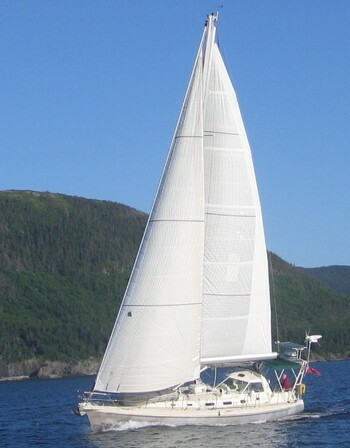 It features a trunk cabin deck, aft cockpit and fixed dodger. Cutting files for aluminium available. See our kits page. This version was commissioned by a British couple, modifying the basic Dix 43 design to match their thoughts for an ideal blue water cruiser. From the outset this one was to be built from cutting files, which were commissioned by our client from Alumar, who have also done cutting files for some of our other designs. Construction of the first boat is aluminium, designed to the ABS scantling rules for ocean racing yachts. Steel is also possible but will need the cutting files to be modified to suit the thinner plates that will be used. Our client drew his own interior layout for his boat. The standard layouts from the standard version of the Dix 43 will work, with some minor modifications. The trunk cabin allows a 50mm (2") gain in headroom despite a 50mm (2") increase in bilge depth due to a higher cabin sole. 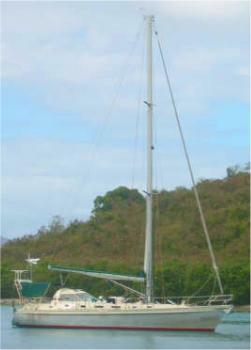 The double spreader marconi mast is stepped further forward than in the other versions. 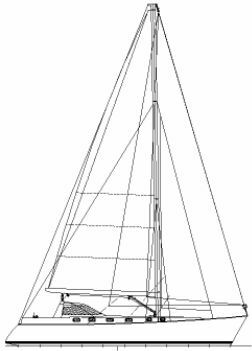 This makes her rig proportions more like a double-headsail sloop rather than the true cutter rig of the other versions. For the other versions of this design, see the Dix 43 and Dix 43 Pilot.